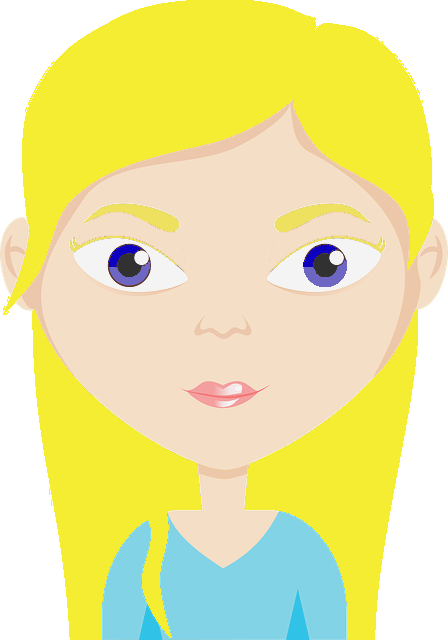 One thing that everyone can agree upon is that bloating annoying and often uncomfortable. Not only can it make your clothing squeeze you, but it can make you feel full, sluggish, and at times, it can hurt. Bloating can be caused by gas, constipation, poor digestion, inflammation, and excess liquid. Usually, bloating comes after meals and some women experience water retention which is often used interchangeably with bloating just before their periods due to hormonal fluctuations. The most common causes are swallowing air, drinking fizzy drinks, or eating hard to digest foods. A diet lacking in fiber or that’s high in fatty, sugary, or high-sodium processed foods is also often to blame. You may also have noticed that on those days where you don’t drink enough water or drink too many dehydrating drinks like alcohol and soft drinks that you were more bloated. This is because dehydration causes water retention. 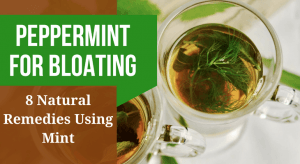 Instead of taking medications that can have harmful side effects over the long run or are filled with toxins like parabens or aluminum, rather try peppermint for bloating. How Does Peppermint Tea Help With Bloating? Peppermint soothes the digestive system and lowers inflammation so much that it is even effective for those suffering from IBS (Irritable Bowel Syndrome). The symptoms of IBS include bloating, pain, excess gas, constipation, or diarrhea (1). Peppermint oil also treats dyspepsia (indigestion). Symptoms include bloating, gas, nausea, a burning sensation, and loss of appetite (2). Peppermint oil relieves pain due to its antispasmodic effects (1). Using peppermint tea for gas is not only soothing but refreshing too. If you have a mint plant you can simply brew a few leaves in a cup of hot water for a few minutes. You can also find peppermint tea in stores. The box will let you know how long to brew the tea for. Chopped or crushed leaves will brew faster so you may want to taste the tea after about 2 minutes to see if you are happy with the flavor or if it needs to brew longer. Removing the leaves from the cup is recommended because the flavor can become very intense. Drink this tea after meals to soothe your stomach. Note: If you choose to sweeten the tea, rather use raw honey as it has an antibacterial effect which can help if you have bad bacteria in your gut, but also because sugar alcohols like xylitol and sorbitol can cause digestive distress. Mint goes well with a variety of teas. Green tea is a popular choice and also relieves bloating, but peppermint’s refreshing flavor goes well with chamomile tea too which also soothes your stomach. You can also add peppermint to rooibos, black tea, oolong, white tea, or any other tea that you think it will compliment. Caffeinated teas will act as a diuretic and help you to get rid of water retention. Simply add a few mint leaves to the cup and brew them with the tea. You can also add a few drops of peppermint tincture. Lemon also acts as a diuretic, helps digestion, and can relieve constipation (3). This remedy is great for hot summer days. Squeeze half a lemon’s juice into a large glass of water. If you would like to sweeten it you can add raw honey. Add a few mint leaves. To keep it cool you can add some ice. Ginger is also commonly used to treat stomach upset, nausea, flatulence, and bloating. It has a carminative effect which means that it helps to expel gas. Put mint leaves in your cup as you would for making the peppermint tea. Add a teaspoon or so of dried ginger or a tablespoon of grated ginger to your cup. You can also adjust the amounts to suit your taste. Brew them together for a few minutes. Be sure to use some of them along with peppermint as a snack or breakfast or lunch. Just be careful of adding too much fruit as they are high in sugar and depending on your type of juicer the fiber is removed which makes it get digested quickly where it can cause problems like bloating and raising your blood sugar levels. Mint can be used in a variety of dishes including salads, meat dishes, sauces, as a dressing for vegetables, and in a range of desserts. You can experiment on your own or you can find many delicious and healthy recipes online or in recipe books. Dilute the peppermint essential oil at about 2-5 drops per tablespoon of carrier oil like grapeseed or coconut oil before massaging your stomach. Any cold-pressed or virgin oils in your kitchen will work well. In a wide circle, start at your right hip bone and massage upwards and around in a clockwise direction to the left hip bone and ending back where you started. Repeat this circular motion varying how deeply you push with your fingers for 10 minutes. No one can deny that peppermint oil for bloating is very effective, but if you don’t enjoy the flavor of peppermint, you can try peppermint oil capsules. You should be able to find them in a health store or online. If this is your chosen method, make sure that you choose organic capsules and that they are good quality. Use them only as directed. If you are on any medication you should check with your doctor before using peppermint in medicinal quantities (6, 7). If you get any side effects, sticking to the tea may be best as the leaves will be less concentrated. Don’t use peppermint if you have an ulcer, GERD (acid reflux), or kidney stones. It will only worsen these problems. While a mint leaf or two should be fine during pregnancy and breastfeeding, speak to your doctor to make sure (5). Keep a food diary to see what your trigger foods are. Common triggers are spicy foods, fatty foods, sugary foods, beans, cruciferous vegetables like broccoli and cauliflower, dairy, wheat, and alcohol. Healthy vegetables and legumes (beans and peas) shouldn’t necessarily be cut from the diet, in fact, most people eat too little of them. But if they trigger bloating and gas, it may be that you are eating too much of them in one sitting, or haven’t cooked them properly. Leafy greens and cruciferous veggies need to be cooked, and legumes soaked before cooking. If your symptoms happen often or don’t go away for more than a week or two, it might be best to see your doctor as you may have a food allergy or an underlying condition. You should also see your doctor if you have blood in your stools, or if they are black, frothy, gray, or slimy. The same goes if you have a lot of pain. If you tend to bloat before your period, this is normal. But if your water retention is severe and you are on contraceptives, you can ask your doctor about switching to a different method or formulation. If you have just switched, it can take 3 months for your body to become used to the hormones. Give it some time first. If peppermint is not for you, check out these other remedies for bloating and for water retention. Please let us know if you found any of these peppermint remedies helpful and which is your favorite.